Zombie paradise action game Dead Island may have been out since early September, but it's only now that the Germans at the wonderfully-named Federal Department of Media Harmful to Young Persons have got around to banning it. 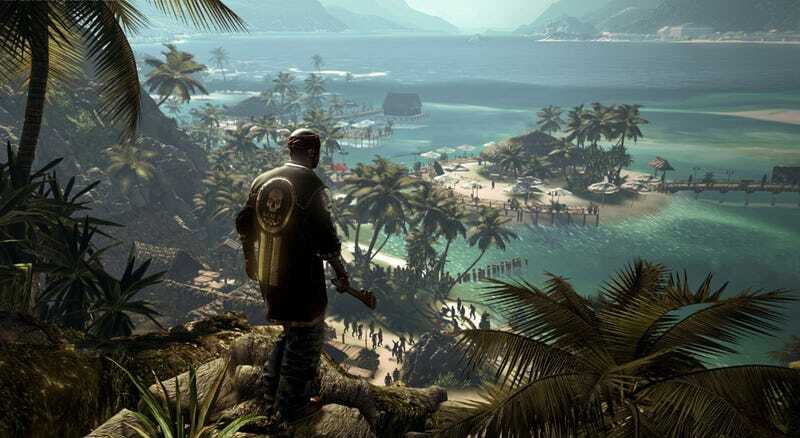 "This isn't unexpected," Techland, the developers of the game, told Eurogamer. "Germany has its unique regulations regarding video games and violence and the industry can only comply. "Both Deep Silver and Techland were aware of such a possibility from the very beginning." The game has been put on the organisation's "List B", which is normally where you find games featuring "extreme torture or Nazi content". The exact reasons for the game's belated banning have not been made publicly available, so I'm just going to assume it's for the worst intro song ever forced upon mankind. You can read Crecente's Dead Island review here.